Ashburton Grove - Arsenal news and Arsenal opinion: "It would be a dream to lift trophies for Arsenal"
"It would be a dream to lift trophies for Arsenal"
Cesc Fabregas has admitted it is his dream to win trophies with Arsenal. The captain was continually linked with a move to his home town club Barcelona last Summer, however the Spanish giant offered Arsenal a derisory £30 million for the midfielder. 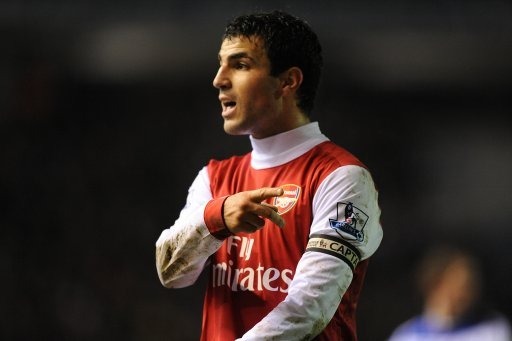 Fabregas came off the bench and scored a penalty to earn Arsenal an FA Cup third round replay with Leeds United. Now he says his aim is to pick up as much silverware with the north London club. "Why would I want to leave? It is fantastic here. It would be a dream to lift trophies for Arsenal. It has always been my wish. "Afterwards you can always be attracted by something else, like a new objective, or new challenges because, for me, life is all about challenges. "But my real challenge as captain of Arsenal is to bring this football club success. "This is the biggest dream I can have. I want to end these five years without a trophy and, hopefully, I can do it this season." Yesterday, Arsene Wenger was asked about rumours Arsenal and Barcelona had reached agreement for the transfer of Fabregas. "I have a good sense of humour, but I don't understand this one. "I cannot see how people can say things like that without us knowing it." "We have the contract of the player and we would inform you if we would sell the player. We sell nobody."